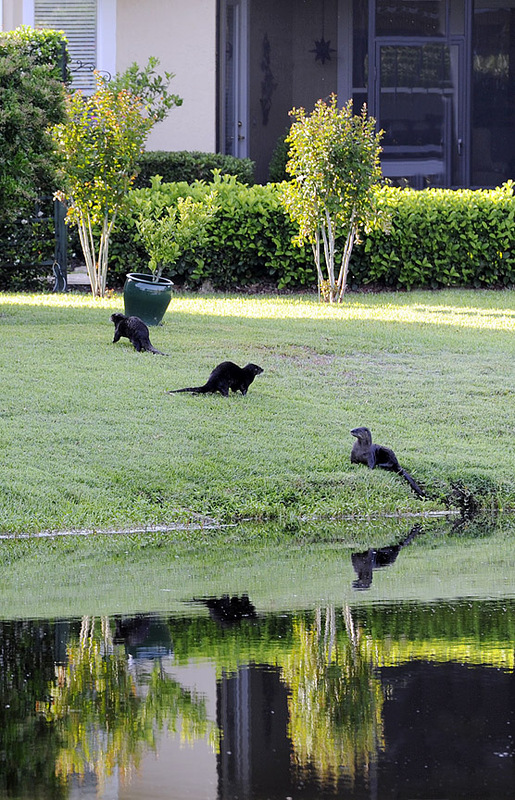 This morning there were 6 otters swimming & playing in the lake in my backyard. 5 of them climbed up the bank into Matt & Ilona's backyard. By the time I got a camera, 2 of them ran around the side of their house. I never realized how fast they can run on land. Last Day of THE PLAYERS!